Over the years many websites and extra materials have been developed to assist in the study of Latin via Wheelock's Latin. The following are sites that are approved by The Official Wheelock's Latin Series Website. Look for this "button" on all websites approved by The Official Wheelock's Latin Series Website. 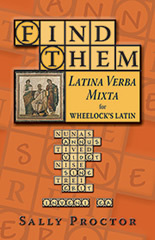 If you know of a good Wheelock's Latin website, please let us know so we can add it to the list. "This is my Curriculum Map, or unit outline for utilizing Wheelock's Latin for the first three levels of my high school students (semester long block schedule). I complete Wheelock's in three semesters and move into Eutropius before moving towards the AP curriculum in Latin IV & V. I include a lot of culture/history in my classes, so my pacing may differ from others. I am currently also working on putting together all my grammar presentations, note packets, google forms, and supplementary text resources together in one place for my students." 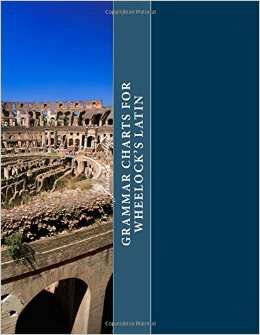 Dr J’s Grammar Review and Drill for Wheelock (6th ed.) UPDATED! 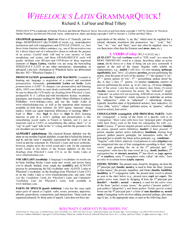 Electronic Resources for Wheelock’s Latin UPDATED! Salvete, amici: I'm planning on starting a new Wheelock's beginners group at the end of April. We will be called the Milites, "the Soldiers." We will do a chapter every two weeks with the second week being devoted to Rick LaFleur's wonderful Scribblers, Sculptors, and Scribes as our auxiliary reading. You'll need to have the 7th edition of Wheelock and also the Scribblers book. If you are interested in joining or just want more information, please write to me at bcuthill@us.net. Please make sure to use Milites in your subject line so that emails end up in the correct email box. Thanks. The LatinStudy list is an open list dedicated to the study of the Latin language. Active subgroups include Wheelock's Latin Reader among many other topics. A volunteer coordinator will typically set a study group's agenda, possibly collecting and collating assignments which are then posted to the list for comparison and discussion. Anyone may join or drop a study group at any time. Questions should be posted to latinstudy@nxport.com. The LatinStudy and GreekStudy lists are open, volunteer-run mailing lists dedicated to the study of Latin and ancient Greek, respectively. The lists have been in operation since 1995 and have a combined total of over 1000 subscribers. The list members are beginning students as well as experienced people who wish to maintain or refresh their Latin or Greek. The Carmenta Online Latin School (accredited Sept. 2015) offers live audio/video Skype classes and tutoring in Latin, Ancient Greek, and Sanskrit by world-class PhD instructors with degrees from Cornell, Harvard, Princeton, Brown, Berkeley, and the Sorbonne. Carmenta, with its small classes and focus on frequent conversation in the Latin language, has an excellent record of producing top learning outcomes for grade-school, high-school, college, and graduate students. 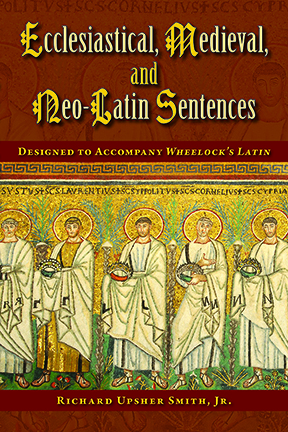 Look for the special page for lovers of Wheelock's Latin! You can remain silent on the list until you know what's going on. Kirk sends out an email on Monday nights detailing the week's assignments. The email from Monday though just said that a new Wheelock's group would be forming and didn't give any further information. This textbook is available in audio format from Recording for the Blind & Dyslexic. Digital recordings on CD- Rom are available only to registered members of RFB&D who cannot read standard print due to a visual, physical or perceptual disability. Please contact RFB&D at 1-800-221-4792 for further information. David Meadows (of Rogueclassicism and Atrium fame) just announced that he'll be forming a new Wheelock group, with the first assignment being due on September 12. For more information, please go to Atrium Latin: A Latin Study Group. 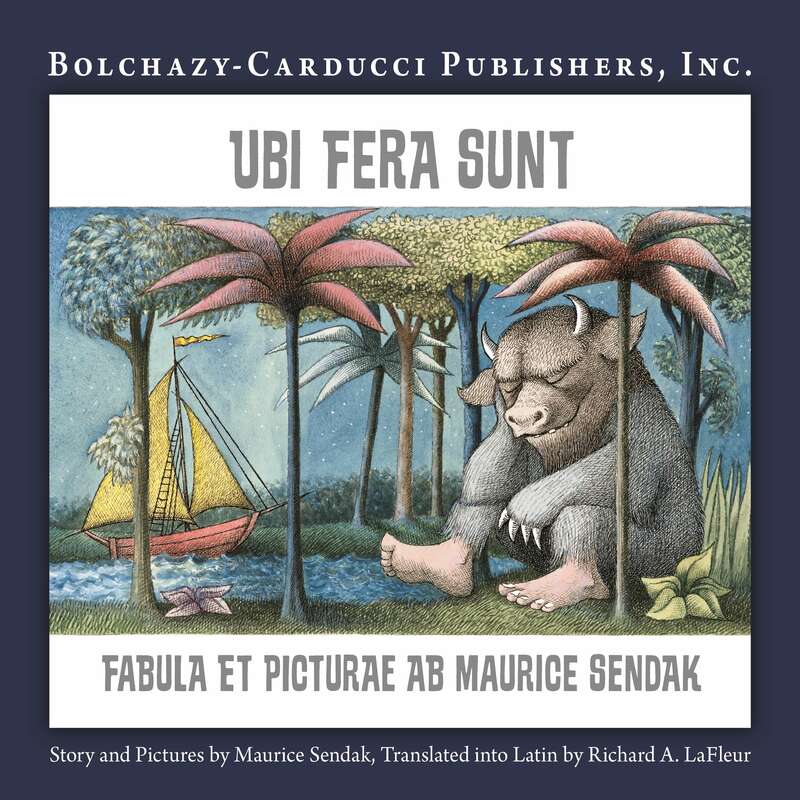 Be SURE to check out the NEW audio files for Wheelock's Latin, which include both Wheelock's INTRODUCTION to Latin pronunciation AND pronunciation of ALL 40 CHAPTER VOCABULARIES: just click on the AUDIO FILES link here or in the menu above. 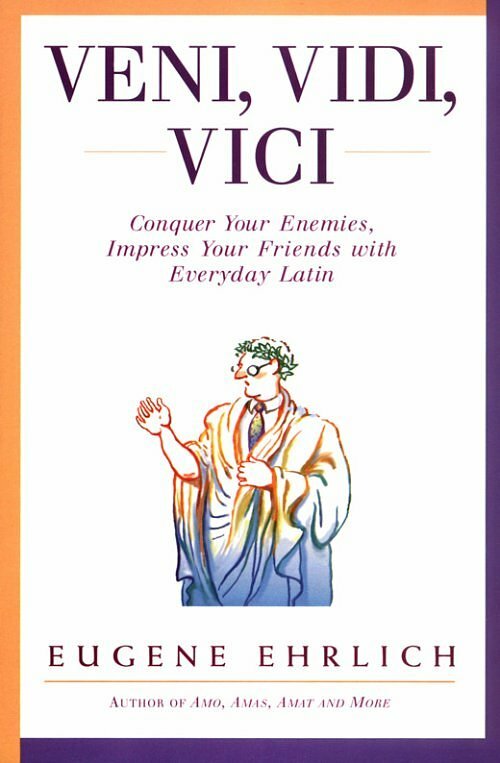 The complete Latin dictionary and grammar—two books in one. “I know of no book to contend in usefulness with this resourceful, voluminous and appetizing smorgasbord.” –from the Introduction by William F. Buckley, Jr.
Facta non verba, literally “deeds, not words,” holds that protestations of good intentions count for little, action is what we need. Fans of Amo, Amas, Amat and More, Eugene Ehrlich’s first collection of Latin words and phrases which still serve gracefully today, will delight in this second offering. Publilius Syrus telling us that “against a lucky man a god scarcely has power.” Why buck the odds? A fine compliment to pay any woman of outstanding achievement in her lifetime. Want to see more? Try refreshing your page and watch the phrases change at the top of your screen! Eugene Ehrlich, formerly a member of the department of English and Comparative Literature at Columbia University, is the author of numerous reference books on language, including Amo, Amas, Amat and More and The Highly Selective Thesaurus for the Extraordinarily Literate. He is also the co-editor of the Oxford American Dictionary. Need Maps? Wheelock's Latin Maps? For full color beautiful posters of Pompeii, Rome, Ostia and Capri, why not try Anima Altera ? 3 versions with different quotes on the back: Frost, Lord Byron and Churchill. Not to mention mugs and even a Wheelock's Tote!